The World’s premier source for footage of musical artists, entertainers and history makers. 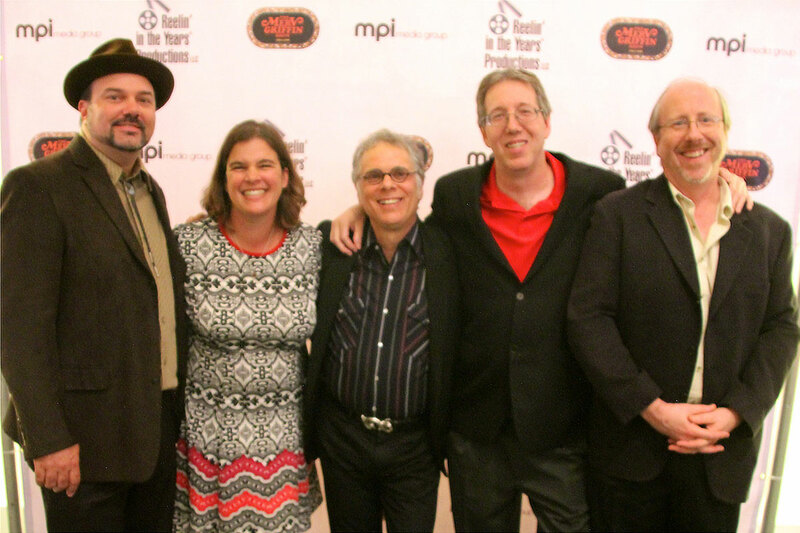 The RITY Team (l-r): Tom Gulotta, Jackie Clary, Mark DeCerbo, David Peck & Phil Galloway. Over the past 19 years Reelin’ In The Years Productions has signed representational deals with many of the world’s biggest television stations and has amassed the world’s largest library of music footage housing over 20,000 hours of material from the 1920s to today. While we’re recognized as a world leader in music footage, with our representation of the daily talk-show The Merv Griffin Show, the Sir David Frost Archive, The Rona Barrett Archive, and Brian Linehan’s City Lights from Canada, we are now proud to have the rights to license over 7,000 hours of in-depth interviews with the 20th century’s icons of Film and Television, Politics, Comedy, Literature, Art, Science, Fashion and Sports, filmed between 1962-2012. At present Reelin’ In The Years Productions represents TV stations and companies in England, Australia, Japan, Germany, Holland, France, Belgium, Sweden, Norway, Finland, Switzerland and America. To date we have a total client list of over 50 companies, from major TV networks to smaller archives of home movie footage. We have licensed our client’s footage for feature films, documentaries, TV commercials, DVDs, CDs, museum exhibitions, and concert tours. As well as licensing thousands of short clips for various projects, Reelin’ In The Years Productions has also been involved in creating original programs and releasing whole performances from our archive on DVD. In 2003 we released The American Folk Blues Festival 1962-1966 Volume One and Volume Two. 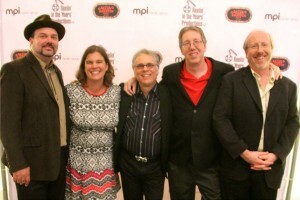 Issued to unanimous critical acclaim, the series was nominated for a GRAMMY Award in the category of Best Long Form Music Video, and received The Blues Foundation’s prestigious Keeping The Blues Alive (KBA) award in the Film category. In addition to the American Folk Blues Festival series (now at 4 volumes), we have produced a multi-platinum selling Motown series (Temptations, Marvin Gaye, Smokey Robinson & the Miracles), the highly-acclaimed Jazz Icons series (more than 36 titles) and the British Invasion series. Our most recent release in 2014 was The Merv Griffin Show 1962-1986, a 12-DVD box set of some of the greatest episodes from one of television’s most beloved talk shows. For complete information about all of our DVD projects, visit our DVD page. Reelin’ In The Years Productions is happy to work with any and all parties to officially license any content from within our unique and massive archive. With more material being discovered each day we are constantly expanding our horizons of what we can present to the world of entertainment. You can click here and submit your request via email or you can call Reelin’ in the Years at (619) 281-6725. Please remember to include your phone number, email address, project request and project description. We will call you to discuss your needs and can usually fill your requests within one day. Note: Reelin’ In The Years does not supply our material to fans, collectors or other private entities. We will only send material out for projects to clients in the entertainment industry. How Long Will It Take To Receive Screeners? The philosophy at RITY has always been to get the material into the clients hands as soon as possible, and weve built a great reputation over the years based on that commitment. For the last two years, weve been digitizing our archive and have a very unique system. Were able to deliver you with one link a folder that contains all the specific performing artists or guests you have requested. The footage you receive via email will have burnt in time code and our library tape numbers so that when you order master material, you can easily let us know what you are interested in. Our system, which we feel is very unique, allows you to watch the footage immediately on your computer or download the footage directly to your edit. Each link will have a detailed log sheet listing specific information about the various clips in the folder. Another benefit of our system is that the link NEVER expires, so a year from now you can go back to the same link for use on another project. What is also great about our system is that you dont have to spend your valuable time searching for something and have to go through many different links to find what you need. We have deliberately chosen NOT to make the footage available on our website (like so many others in this industry do) because we know our archive inside and out. Please call or email us so that we can help you find the best footage for your project. We love to do the research (free of charge) and deliver the footage you need neatly and organized to your email. What Are The Rates For Licensing Footage? Rates vary depending on the rights required (TV, Home Video, Theatrical, etc) and the territory (worldwide, UK , North America, etc.). Reelin’ In The Years rates are based on per minute/per song, but not per cut. For example, if you picked one minute of a particular performance then you may cut that minute into your production in any way you like. Please feel free to call or email us and we can discuss our rates for your particular project. Where can I buy the DVDs RITY has produced? We do not sell our DVDs but you may purchase them at any music retailer or visit our Amazon Store here. PLEASE do not call us about buying DVDs. We do NOT sell our DVDs. That is the job of the labels and distributors. Can RITY help me generate income from footage I own the rights to? We represent archives as big as TV stations in Australia to legendary TV shows like The Merv Griffin Show but we also have a number of clients who took their small movie cameras and shot silent footage of concerts they attended. ALL of them are potential money makers. If you have footage that you produced for film or TV that you own the rights to or home movie footage of artists or groups that you filmed we would love to speak with you about representing your archive. "As jaded footage researchers, we’re constantly surprised with the gems that Reelin’ In The Years Productions comes up with. And, if they say they’ll do something, they do it. They provide fast, efficient, personal service." "Digging through archival footage from Reelin’ In The Years Productions always inspires a WOW moment. When it comes to music documentaries, RITY has always been instrumental, but now that the company has such a wealth of material outside the scope of music footage, they’re indispensable to any archival project." "I have worked with Reelin’ In The Years since their inception and they’ve long been my first research call on any documentary project I’m involved in. Very few archives understand, let alone communicate, the actual substance of the material they represent as well as RITY. They speak with both confidence and authority, which saves time and money in and of itself. With the addition of various television talk-show libraries over the past years, they’ve substantially deepened the storytelling dynamics I’m searching for." "For nearly two decades, Reelin’ In The Years Productions has been the main go-to footage archive for substantive materials used in our documentary films and television productions. Their highly knowledgeable staff is responsive and professional, always willing to go the extra mile to help us find exactly what we are looking for, and to get us materials in a timely manner. They have been essential collaborators on numerous films we’ve made for major museum exhibits, television programs and direct-to-video productions." "Reelin’ In The Years Productions holds an incredible and unique range of music and entertainment footage. Friendly and fast service, amazing music knowledge and expertise. It’s been a pleasure doing business with them for 15+ years." "There are music clip companies and then there is Reelin’ In the Years. Over the course of the last couple of years, I have come to appreciate their deep music library as well as the deep music knowledge of the staff at the company. In my experience there are very few companies in any genre of the entertainment business that actually care about the customer. Reelin’ In The Years is one of those rare companies." "Reelin’ In The Years has the definitive catalog for many of the greatest acts in popular music history. That has made them the go-to supplier for material on many of the major documentaries we have worked on at Spitfire Pictures and at White Horse Pictures Documentaries. What so attracts me is that the company, and its principals, are always there to help with suggestions and ideas to fill out clips and material we are looking for to make our documentaries wonderful. They do a great job for their rights holders, but equally, they bring their taste, energy, and user-friendly attitude to helping us licensees!" "Reelin' In The Years is fanatical about their work and you can tell by the quality of their productions. Aspiring entrepreneurs and artists alike should look at the dedication to craft that these guys display. They easily surpass the Malcolm Gladwell 10,000 hours of practice dictum . . . and then some." "What turns you on, baby? The Electric Prunes? The Yardbirds? The Pretty Things? The Kinks? There's only one go-to cat. David Peck is the man. He's gone, he is the coolest of the cool. I mean he swings, baby. You dig?" "I am impressed with the depth of the Reelin' In The Years archive, the jazz footage in particular."